Did you know there are only five teas that can actually be called tea? Everything else is technically an herbal tisane. Semantics aside, herbal teas offer a wide range of flavors from sweet and spicy to tangy and earthy. They boast a wide range of health benefits and are easy to brew at home. Here, we'll show you the difference between true teas and herbal teas. 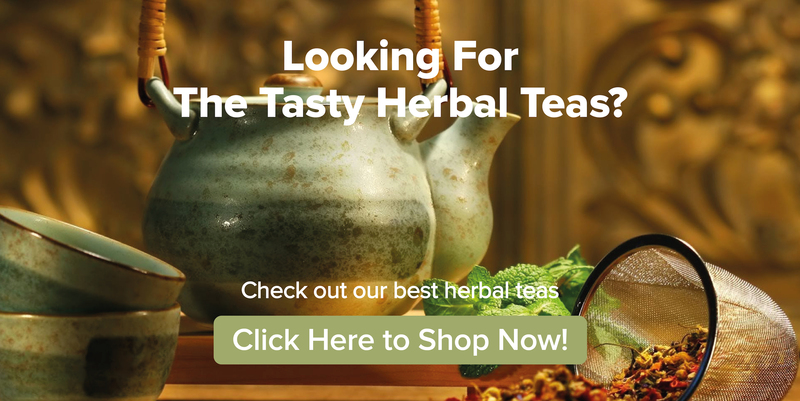 Discover some of our favorite herbal teas and start brewing flavorsome, mouthwatering goodness today. Want to grab some tasty teas today? Check out our collection of the best herbal teas right here. There are three main types of tea: true teas, herbal teas, and flavored teas. True teas are made from the tea leaves of the true tea plant known as Camellia sinensis. The true teas are white tea, green tea, oolong tea, black tea, and pu-erh tea. Herbal tea is a large umbrella category for popular teas ranging from ginger tea to peppermint tea. Herbal teas—commonly called herbal tisanes—are made by infusing a variety of plant parts in hot or boiling water. They are made from plant roots, leaves, tree bark, and flowers. Herbal teas come from plants all over the world and some, such as yerba mate, are revered by indigenous societies. Most herbal teas are naturally caffeine-free. Flavored teas are true teas that are flavored using herbal components. Earl Grey tea is a popular flavored tea that boasts a black tea base that is scented with bergamot orange rinds. 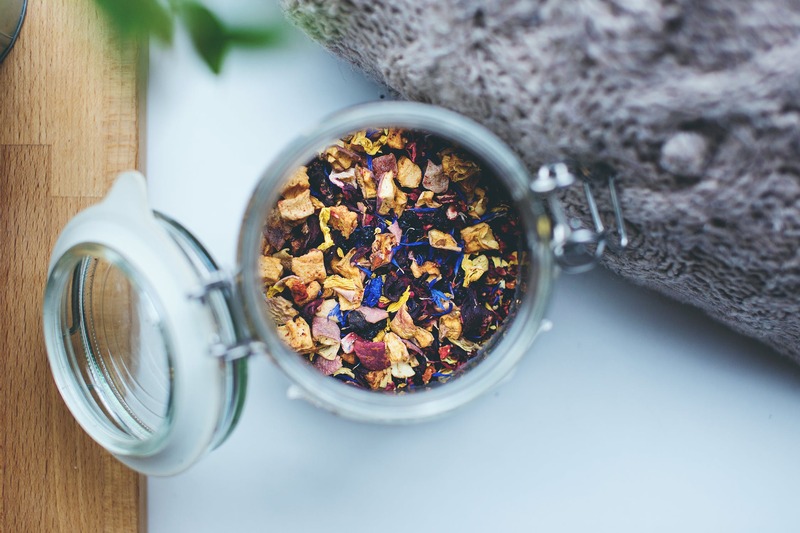 Read on to discover some of our favorite herbal teas. Try our Thai Ginger Tea for a spicy and tingly tea drinking experience. Ginger tea is a wildly popular beverage that has long been used in herbal and traditional medicines. It is a herbal tea with roots in Asia and the Middle East. Research shows that Indian and Chinese communities brewed ginger tea more than 5,000 years ago. It was also one of the most important products Indians traded with the Roman Empire more than 2,000 years ago (1). Hundreds of studies have demonstrated the anti-inflammatory and digestive benefits of ginger tea. Ginger contains high levels of antioxidants that can help prevent damage caused by free radicals. Ginger is also a common natural remedy for nausea caused by motion sickness and morning sickness. Researchers believe the carminative properties of ginger help to reduce gas and block serotonin receptors that may cause or worsen nausea symptoms. (1). Rose hip tea is made using the seeds of the rose plant. The tea can be made by brewing fresh or dried rose hips. The rose hips are known as the berry or seed of the rose plant. They appear after flowers have bloomed and resemble round, orange balls with minuscule hairs sticking out one end. This herbal sweet tea is chock full of vitamin C that can help boost immunity. It's a popular beverage for treating the common cold and flu. Rose hips boast anti-inflammatory properties that make it a great tummy soother. 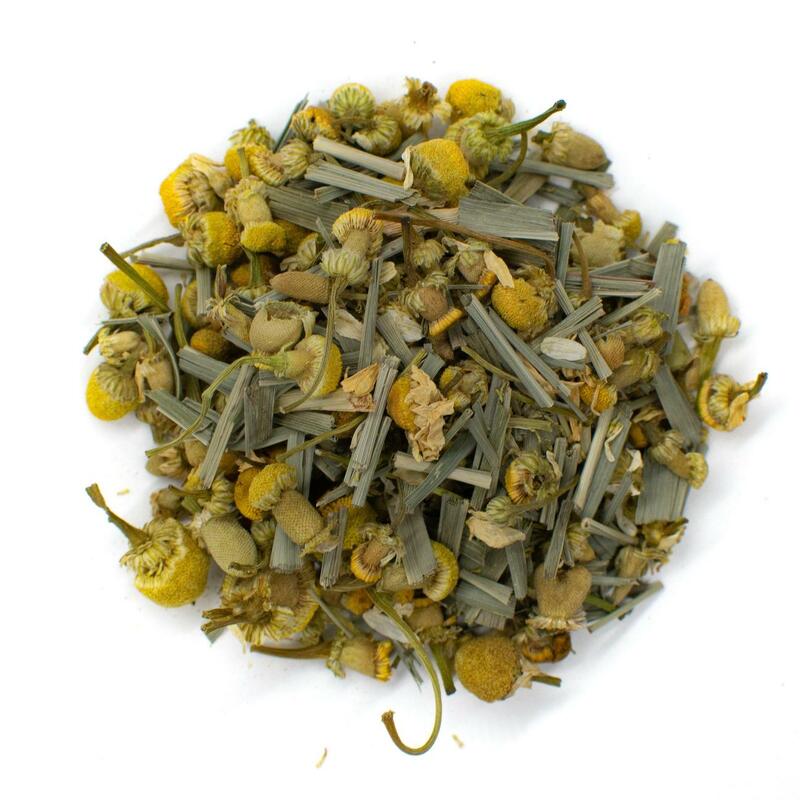 Our Chamomile Lemongrass Tea is soothing and tangy for delicious flavor. Chamomile tea is one of the most well-known herbal teas. It's made by infusing chamomile flower petals in hot water. There are two main types of chamomile used in tea: German chamomile and Roman chamomile. Chamomile is a beloved sleep aid known for its calming properties (2). The tea naturally soothes a sore throat and can decrease inflammation that causes irritation. The natural soothing properties of this tea also make it suitable for decreasing stress and anxiety. Since it's naturally caffeine-free, you can drink it right before bed to help unwind and induce better sleep. Peppermint tea is another popular herbal tea that offers delightful flavor and potent health benefits. This tea is made using leaves from the peppermint plant and infusing them in hot water. Some peppermint teas have hints of fruity, floral or green tea flavors. Peppermint tea can treat bad breath and may be effective in alleviating symptoms of irritable bowel syndrome. Peppermint is a common ingredient in toothpaste and mouthwash because it offers a clean, fresh feeling and menthol, which helps to fight bacteria that cause halitosis (3). Peppermint tea also helps streamline digestion by inducing the production of digestive juices such as bile. Menthol helps to relax the stomach and intestinal muscles, which can help alleviate pain including gas and bloating associated with irritable bowel syndrome (4). 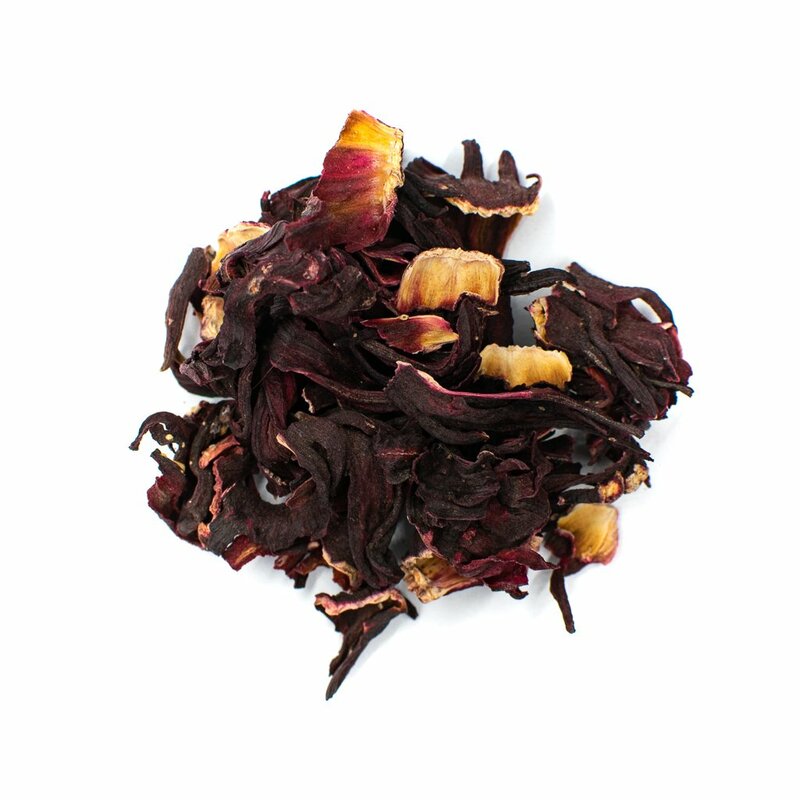 Our Egyptian Hibiscus Petal Tea offers a lemonade-like flavor when brewed as iced tea. Hibiscus tea is a popular Caribbean beverage known by names including Flor de Jamaica, Roselle, zobo, and sorrel. It's also extremely popular in western Africa and Central America. Hibiscus tea is commonly consumed as an iced tea, but can also be brewed hot. Most traditional recipes involve brewing the loose leaf tea at high temperatures rather than using tea bags. The tea is packed with vitamin C and minerals that helps to boost the immune system. Studies show that hibiscus tea boasts natural anti-inflammatory and hypertensive properties that may help protect heart health when consumed regularly (5). Lemon balm tea, also known as Melissa tea, is a popular European tea that offers a distinctly lemony and minty flavor. Like chamomile tea, it is known for soothing properties and contains high amounts of vitamin C that can boost immune health. Drinking lemon balm tea, water, and apple cider vinegar may also help to prevent and treat kidney stones. One trial showed that lemon balm tea consumption can help reduce mild to moderate anxiety and improve sleep (6). Discover a beloved African delight with our Organic Rooibos Tea. Rooibos tea is made from the red bush plant that grows exclusively in the high Cederberg mountains of South Africa. It's one of our bestsellers thanks to its unique tart and earthy flavor. 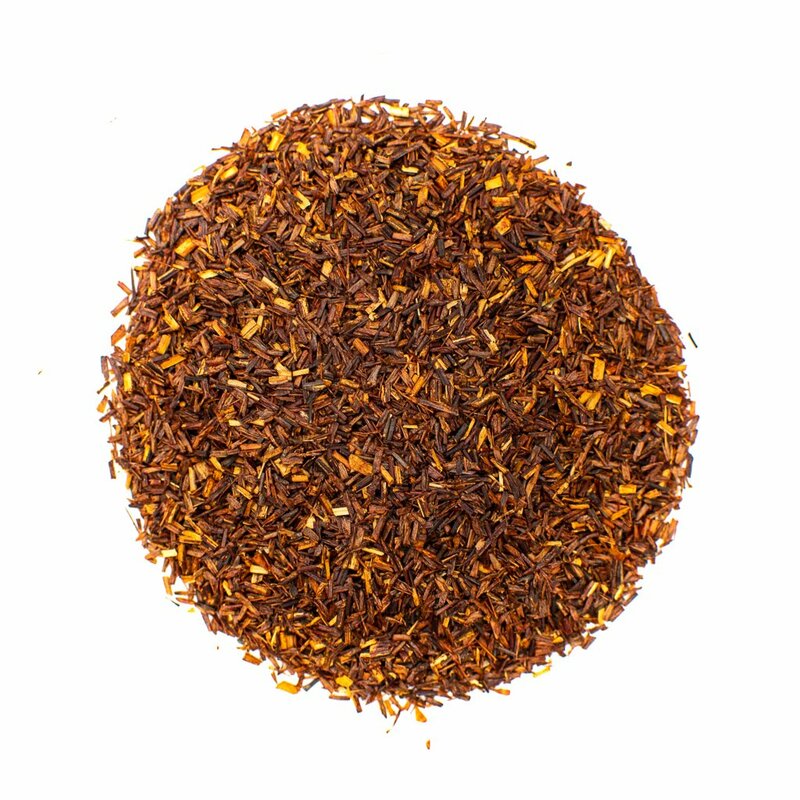 There are two main tea types when it comes to rooibos: red rooibos and green rooibos. Red rooibos tends to have a sweeter and tangier flavor while green rooibos is more robust and earthy. The red tea has been shown to decrease cortisol levels and can help you unwind after even the most stressful days (7). Blackberry tea boasts a delectably sweet flavor and rich purple hue when brewed. The tea is more commonly made using fresh or dried berries, but can also be brewed using leaves and roots of the blackberry bush. Blackberries are famous for high concentrations of antioxidants. The healthy fruit can help boost immunity while preventing cellular damage caused by oxidative stress. The tea can also be used to soothe digestive problems and to treat pain and inflammation (8). 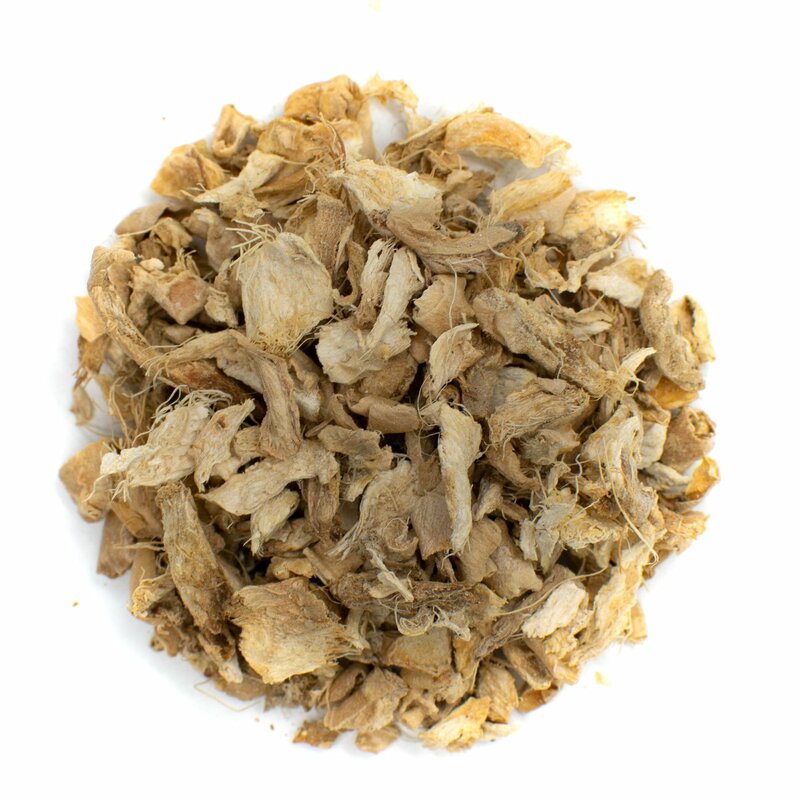 Echinacea tea is made using the leaves and flowers of a variety of echinacea plant species. The plant is native to North America and was used by the Native Americans to soothe snake bites and other ailments. Honey, mint, and lemongrass are frequent additions to echinacea tea to help balance out strong flavors. Echinacea is a common ingredient in cold and flu medications including cough drops. While the powerful herb can't prevent colds entirely, it may help lessen symptoms and the duration of the illness (9). Kava tea is a South Pacific drink made from the roots of kava—a plant found only on South Pacific islands. It is to indigenous South Pacific communities what yerba mate is to South American indigenous peoples. The tea is brewed by grinding the roots into a fine powder and then consumed as part of social ceremonies and gatherings. The tea works as a muscle relaxant and induces natural sedative effects. It's calming and soothing, while also increasing alertness and focus. There are several safety concerns associated with drinking kava including liver damage when consumed in large quantities (10). The tea is banned in Europe and Canada but can be purchased in the United States. If trying kava tea, keep consumption to an absolute minimum to avoid serious side effects. Brew your herbal tea using loose teas instead of herbal tea bags to get the most authentic flavor. 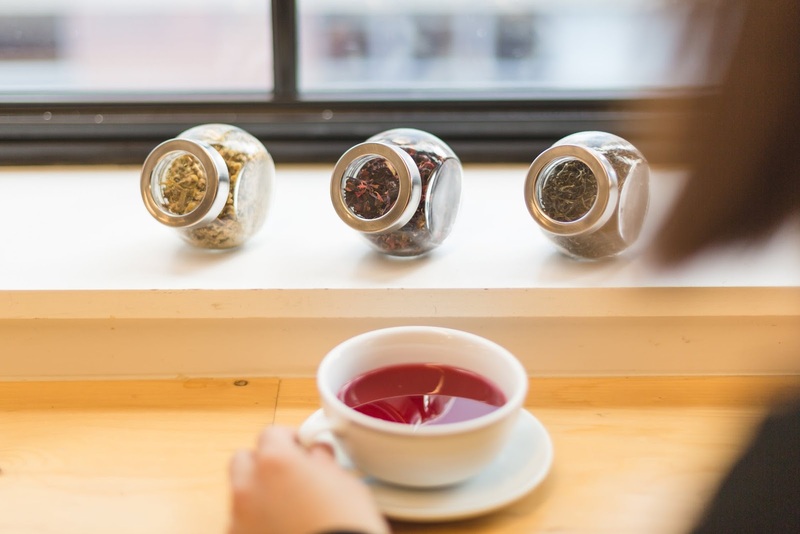 Look for high-quality loose teas that are made without harmful chemicals that can alter flavor and health benefits. Tea lovers can also choose fair trade certified teas to ensure the tea was cultivated and harvested with ethical management for workers and indigenous communities. Most herbal teas should be brewed using water and high temperatures. They also need to steep longer than classic true teas. As a rule of thumb, brew herbal teas using boiling water and allow them to steep for anywhere from five to ten minutes. Use a tea strainer basket or a tea ball to easily remove the loose leaves, roots or petals from your herbal infusion. Tea strainers can be purchased in tea starter kits, gift sets, or as stand-alone items. Herbal teas offer endless flavor options since they are brewed using thousands of different plants. This list is just the start of your options when it comes to herbal tea. 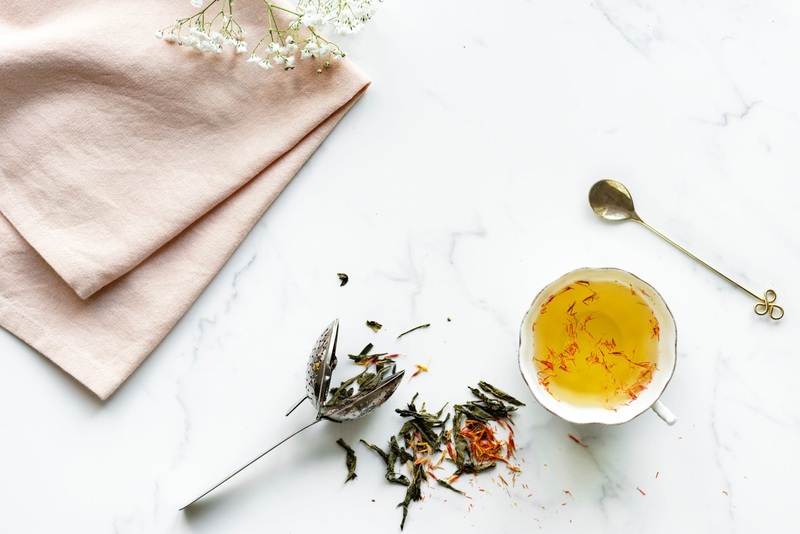 From ancient teas revered by indigenous communities to common staples such as peppermint and chamomile, you're sure to find an herbal tea you love.